This entry was posted on June 25, 2014. It was filed under Bonsai, Canada, Larch, Larix laricina, Toronto, Yamadori and was tagged with Bonsai, larch, Larix, stolen, tamarack. Have forwarded your email to all Matsuyama Bonsai Club members…I have contacts in BCI …would you like me to forward them as well? Thank you Joan. I’m sure any communication with your BCI contacts would be greatly appreciated by the tree’s owner. All the best. 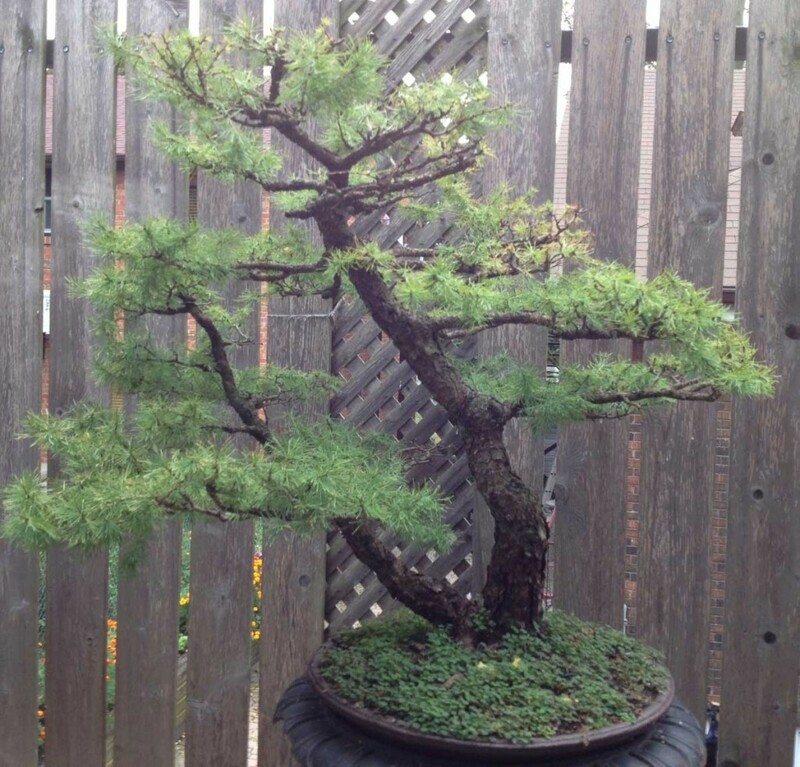 I just posted an alert on my own blog, at http://hoosierbonsai.blogspot.com/2014/06/bonsai-stolen-toronto.html I also snagged and reposted your picture, with attribution. Under the circumstances, I really didn’t think you would mind. It’s been posted on Reddit in /r/bonsai – we have a lot of hits, hope that helps. Office: Community Safety Branch, lower level, DRPS Central West Division, 480 Taunton Rd W, Whitby…Taunton and Anderson. Joan , I’ve met her and had a brief conversation with her at Seedy Saturday in February! She’ll be a good contact and will direct you to other groups or may be ‘urged’ to do this for you re. bonsai theft the other day. Hope this helps, Gay. What’s the story on stolen trees? I remember a bonsai collector in St. Louis who hired a bus to take visitors from the convention to his garden so that no one would remember how to get there on their own. In Italy, the theft of bonsai is not uncommon. I have a sophisticated burglar alarm in the garden! Especially in the area of Milan, but many times they are thieves who try to sell them, then fail. It is not easy to sell bonsai. However, with the crisis recommend everyone to put a good burglar alarm. Very sorry to hear of the tree theft, unfortunately it is all too common an occurrence particularly here in UK and Europe. It seems these trees from Europe at least can all too easily be taken east into the eastern European countries when there is a ready market and no questions asked. Surely in your case it is not terribly likely that they would go beyond the north American Continent. Importing into Europe by road is easy but by ship far more difficult and rules strictly enforced. I would send your report worldwide on my Events calendar mailing list but I do not think it would be of any use.